A contract sterilization service uses a single-stage scrubber to convert this hazardous gas to inert ethylene glycol: ETO Sterilization Inc. provides contract sterilization services for hundreds of northern New Jersey customers, concentrating on spices and herbs, cosmetic ingredients and medical supplies. Two of the largest ethylene oxide sterilization vessels in the world are in operation at their Linden and Carteret, NJ, facilities. The company had to scramble in the mid-1980s when new federal regulations banned emissions of the gas. ETO Sterilization turned to the Clean Air Group for a custom-designed scrubber for each of the installations. 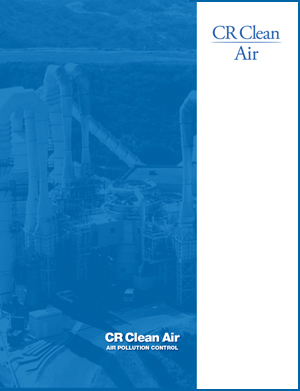 The Clean Air Group guaranteed better than 99% contaminant removal, and could show an excellent track record of acceptance by state regulatory agencies. The systems were installed in 1987 and have demonstrated “very good” performance according to the Clean Air Group.